The next art exhibit at the Rollin Art Centre, is again featuring two local artists. 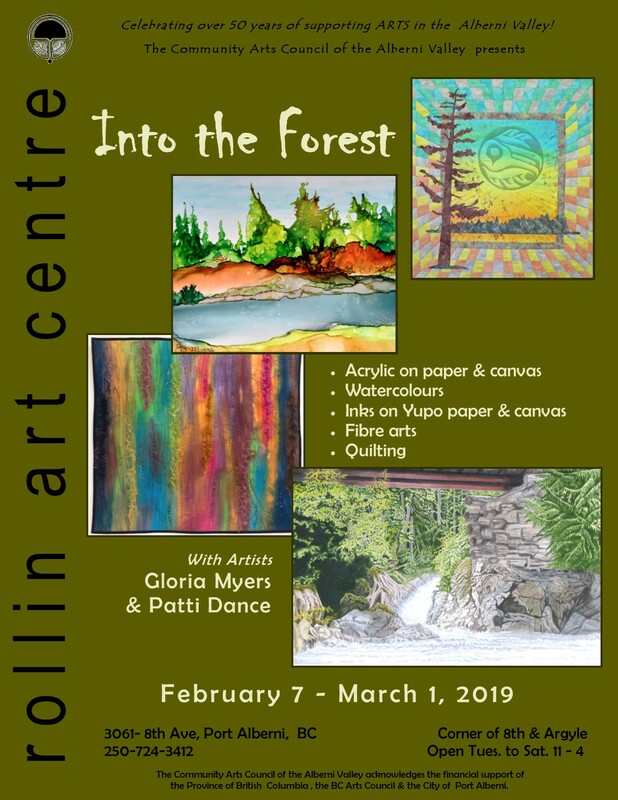 Gloria Myers & Patti Dance will be showcasing a collection of work that is titled, “Into the Forest”. From water colour, to ink drawings and even quilting, this exhibit will be painterly at best. Join us in the gallery at their artist reception, Sat. Feb. 9 from 1-3 for refreshments and opportunity to meet these wonderful artists. This exhibit runs from Feb. 7 until March 1.